London-based Egyptian artist Nermine Hammam received her BFA in filmmaking from NYU’s prestigious Tisch school of Arts. Ms. Hammam has previously worked at the studio of renowned film director Youssef Chahine, and has participated in solo and group shows worldwide. The inspiration for much of her work comes from the chaos that has gripped Egypt, even prior the most recent unrest. Her works are multi-layered and made from a combination of digitally manipulated photography and painting. Nermine’s works tend to focus on human gestures, and seeks to portray people that are in an altering state of abandonment. Nermine recently finished a highly successful show organized by Rose Issa Projects at the Mosaic Rooms. This stunning exhibition was extremely well received and was featured in such mainstream publications as the New York Times, Newsweek, and the Guardian. 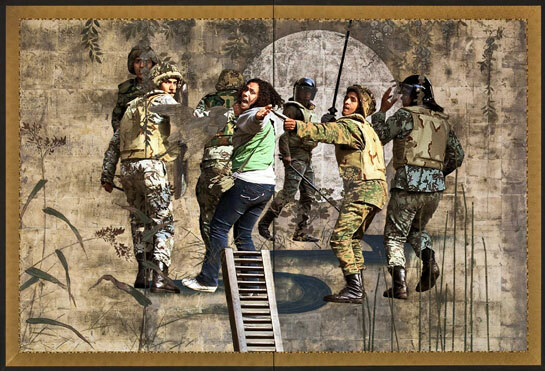 This exhibition, titled ‘Cairo Year One,’ featured work from two of the artists’ most recent series of work: Uppekha and Unfolding, which look at the unrest and chaos that has engulfed Egypt as of late. The works from this series were made up of layered images and symbols, through the use of digital photography and painting. 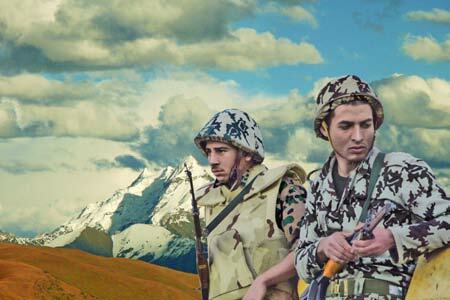 Upekkha featured photos taken of Egyptian soldiers standing around Tahrir Square. 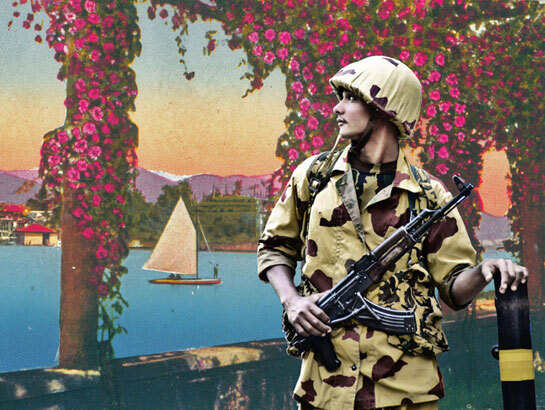 These images were then juxtaposed onto backgrounds of calm, surreal utopian landscapes that seem to be the furthest place imaginable from the chaos of Tahrir Square. 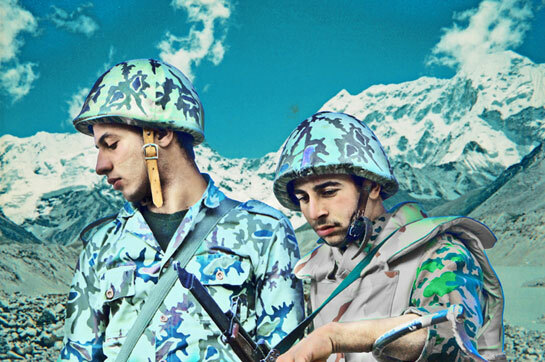 By taking these soldiers out of the environment of the Egyptian unrest, Nermine portrays these soldiers as young, vulnerable individuals. 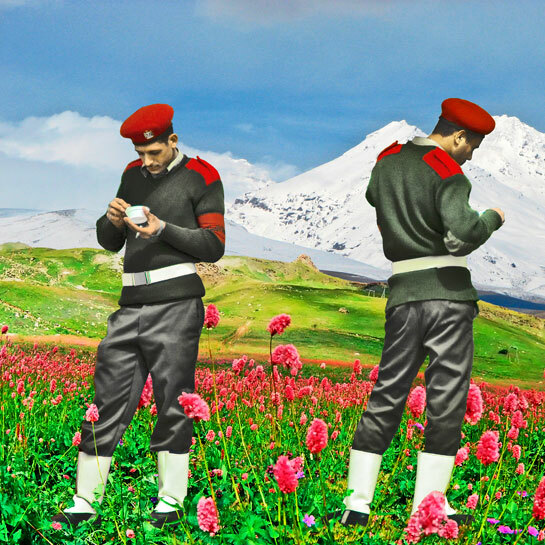 By showing these rugged Egyptian soldiers dressed in full military gear standing in a field of pink flowers, Nermine hopes to show the frailty of these soldiers. 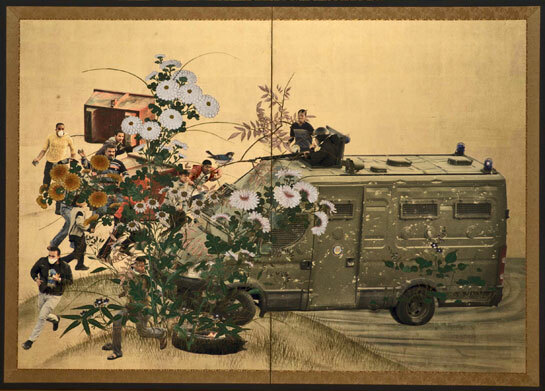 Through Nermine’s Unfolding series the artist combines scenes from footage of police brutality during the Egyptian unrest with traditional Japanese landscapes in the background. 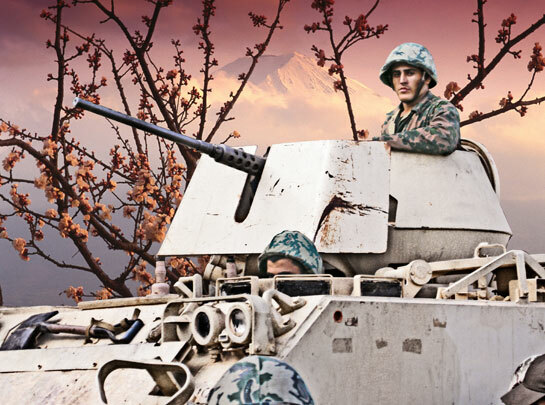 The violence seems extremely out of place in the calm serenity of Japanese gardens, with majestic Japanese birds walking directly past Egyptian military personal beating hoards of protestors to the ground. 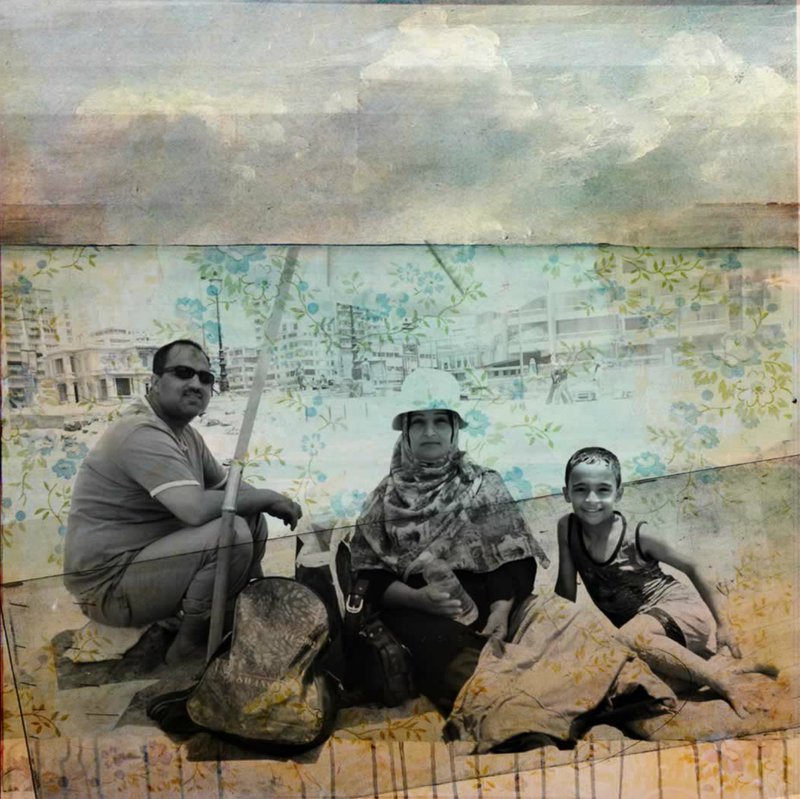 In another of Nermine’s series titled ‘Escaton,’ the artist’s focus is on Egyptians along the beach. 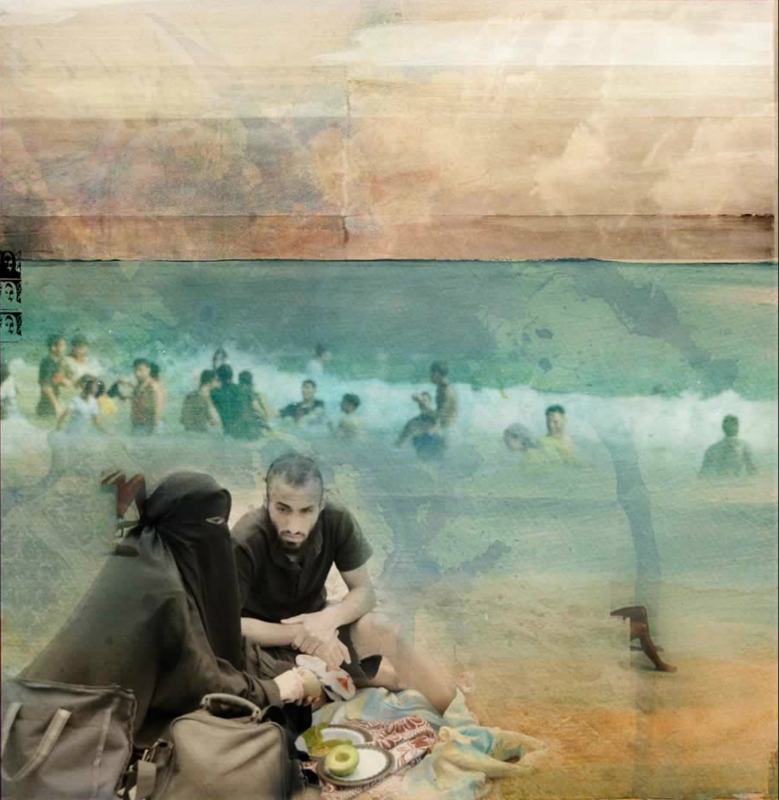 The people in these images are rearranged into humorous Hollywood-style narratives that look completely out of place along the Egyptian shore. The bathers, many of whom are conservative and dressed as such, are shown to be swimming, talking, and enjoying themselves. Nermine hopes to show through this series that humans are ultimately the same, regardless of religion, clothing or nationality. These Egyptians still enjoy a day at the beach and mingle with friends and family just as people do all over the world. Previous post: Art of the Mid East to feature ‘Beirut Art Guide’ in next edition of Harper’s Bazaar Art Arabia!